Front row (from left): Gideon Taylor, chairman of operations, WJRO; Xavier Bettel, prime minister of Luxembourg; Randy Evans, U.S. Ambassador to Luxembourg; and Tom Yazdgerdi, U.S. Special Envoy for Holocaust Issues. Second row (front): Evan Hochberg, director of international affairs, WJRO; Albert Aflalo, president, Consistoire Israélite Luxembourg; Franҫois Moyse, president, Foundation Luxembourgeoise de la Mémoire Shoah. Back row (from left): Wesley Fisher, director of research, WJRO. Photo courtesy of WJRO. 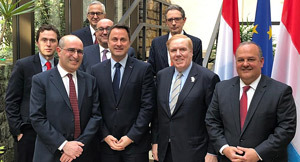 (European Jewish Press via JNS) – Leaders of the World Jewish Restitution Organization (WJRO) and of the Jewish Community of Luxembourg met recently with Luxembourg’s Prime Minister Xavier Bettel to discuss efforts to address remaining Holocaust-era property compensation issues. The delegation was led by U.S. Ambassador to Luxembourg Randy Evans and U.S. Special Envoy for Holocaust Issues Tom Yazdgerdi. WJRO represents world Jewry in pursuing claims for the recovery of Jewish properties in Europe (outside of Germany and Austria). They agreed to form a working group composed of representatives of the government of Luxembourg, the WJRO and the Jewish Community of Luxembourg, which will commence discussions immediately to formulate a process to address these open issues. “We pledged to the Luxembourg government, the full support of the United States as it reviews options for compensating victims and restoring access to accounts. We also look forward to Luxembourg’s upcoming chairmanship of the International Holocaust Remembrance Alliance (IHRA), where Luxembourg can showcase its leadership on Holocaust issues,” said Evans. Luxembourg will assume the IHRA chairmanship in March. 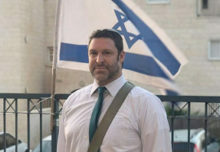 “Prime Minister Bettel has been a leader in acknowledging the suffering of the Jewish community in Luxembourg,” said Gideon Taylor, chairman of operations for the World Jewish Organization. Historical reports commissioned by the government in 2009 and 2015 detailed how the Nazis and their collaborators methodically robbed Jewish people of their every possession. 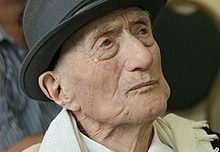 After World War II, about 1,500 Jews returned to Luxembourg. 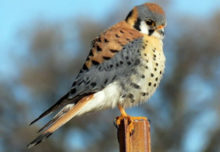 Today, some 1,200 reside in the country. 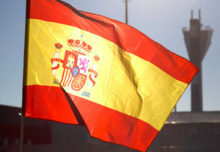 Is Spain really a haven for people with Jewish roots?